Asus released new OTA update on 24th Feb 2016 i.e Version V1.17.40.1106. But it has many issues like mic-issue, frequent lagging issues and most important Asus revoked third party theme support in this latest update which freaked most of the Asus users. So Now As we All know there is no any downgrade version available for Asus Zenfone 2 Laser(ZE550KL). 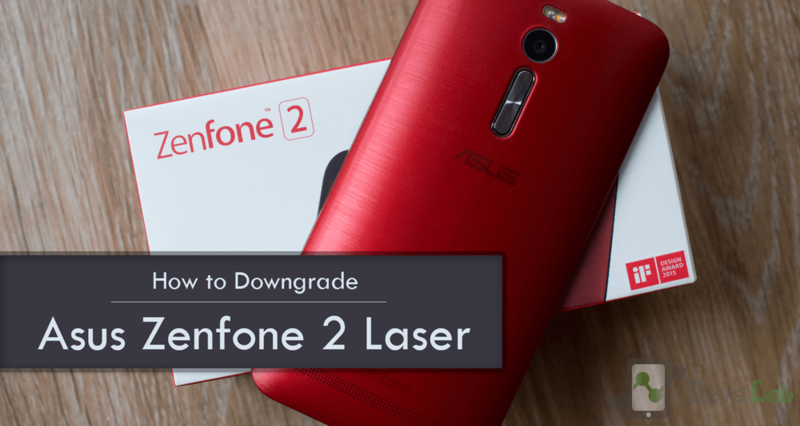 Lets begin with Downgrading Asus Zenfone 2 laser. Well, manufacturers don’t support downgrading to old software version even though the current version is buggy. But there’s no other way to fix this new issues except Downgrading firmware version. This guide was used to downgrade 3 Zenfone 2 Laser devices to make sure it works perfectly & can be implemented easily. If any thing goes wrong and you just end up with a bricked or semi-bricked device then neither our site or any of these app developers will be responsible. So, try these instructions on your own risk. Note: I downgrade my Zenfone 2 laser by following this method without any data lost. But for safety reasons, I would advise you to take backup of your important data. Enable USB Debugging in Asus Zenfone 2 Laser: Go to Settings -> About and tap multiple times continuously on “Build number” to active “Developer options” and then Go to Settings -> Developer options and enable “USB debugging” option. 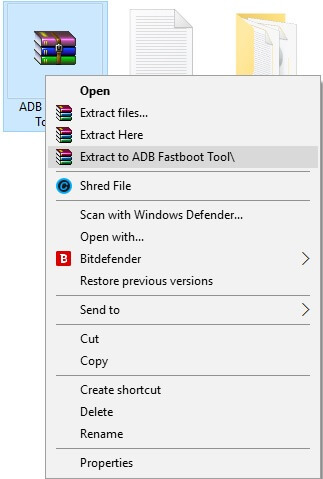 Step 3: Move Stockboot.img into extracted ‘ADB Fastboot Tool.rar’ folder. 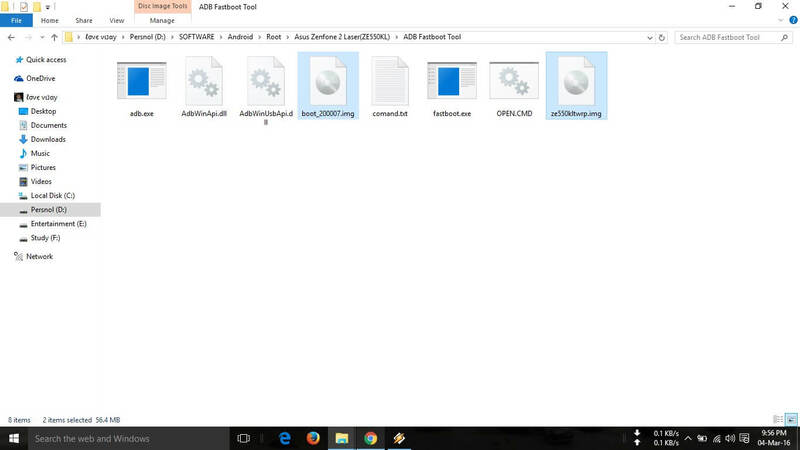 Step 4: Now in ADB Fastboot folder open command windows by Pressing Shift+Right click –>Open command window here. You can refer the below image. Step 6: Now to boot your device into fastboot mode (To flash/install old firmware). 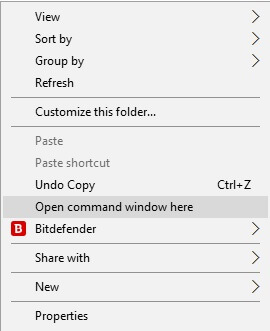 Enter the below command. Step 7: Now its time to flash stock boot.img file. Enter the below command. By Flashing this boot.img File Your Device Will Automatically Reboot into Asus Stock Recovery Version WW1.16.40.763. If you got Error Something Saying To Unlock Your Device!! Just Click Here and Follow First Two Steps Of That Post. And Try Again Using This Command. Step 8: Now in Recovery Select “Apply Update From SD Card”. Locate the firmware.zip file And flash it. Step 9: The process might take 4-5 mins. After successfully installation, reboot your device and check Settings > About Phone > Software information. You have successfully downgraded your Asus Zenfone 2 laser without rooting. Now as you have downgraded to previous version, its time to enjoy third party themes. You can checkout list of all third party theme for Zenfone models. If you need any help, you can comment below. Peace!